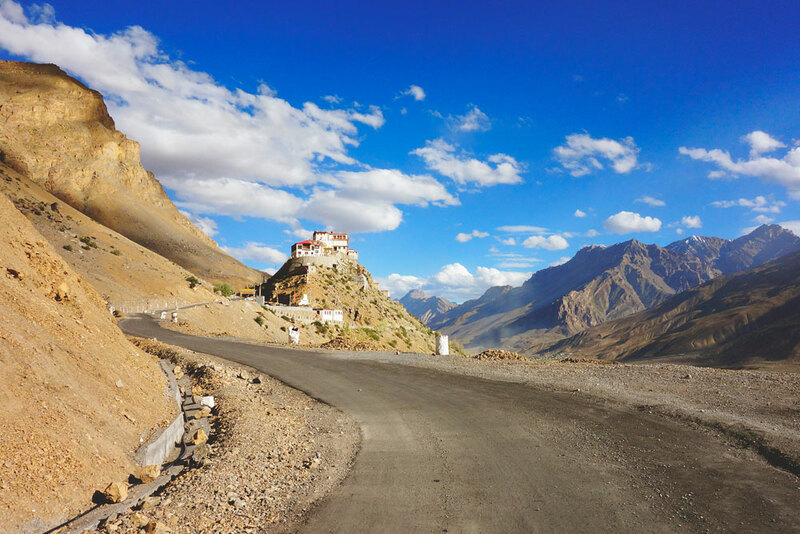 Located at an altitude of 4,166 meters above sea level Kee Gompa is a scenic Buddhist monastery, close to the Spiti River, in the Spiti Valley of Himachal Pradesh. 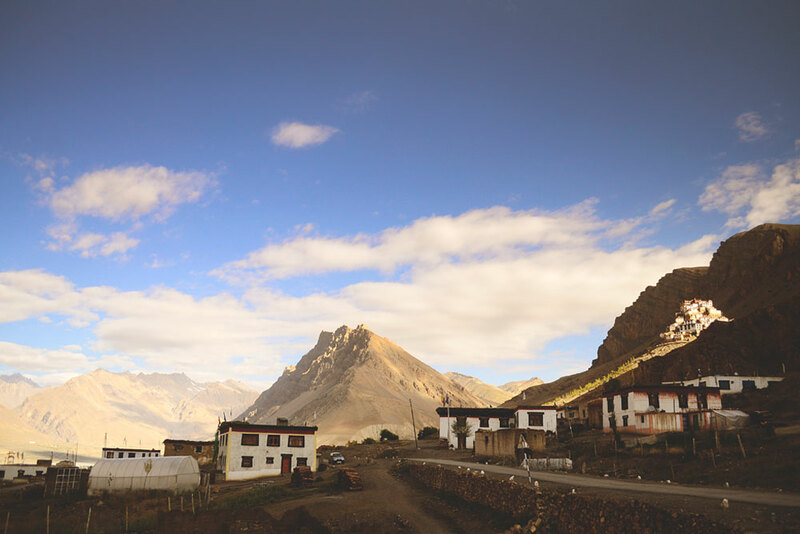 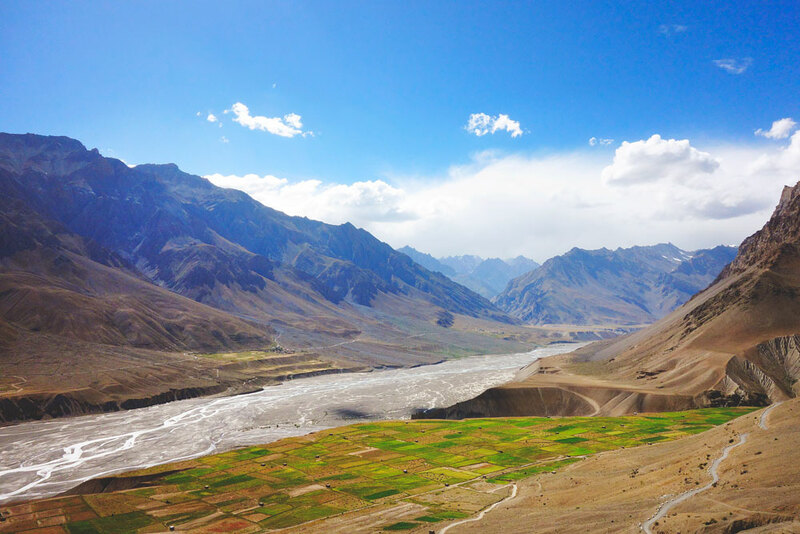 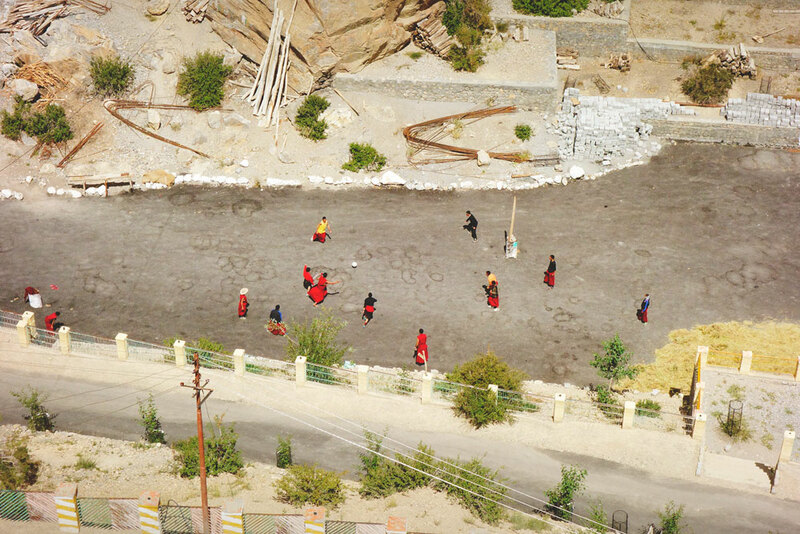 It’s one of the oldest and the biggest in the Lahaul and Spiti district and also a spiritual training centre for Lamas. 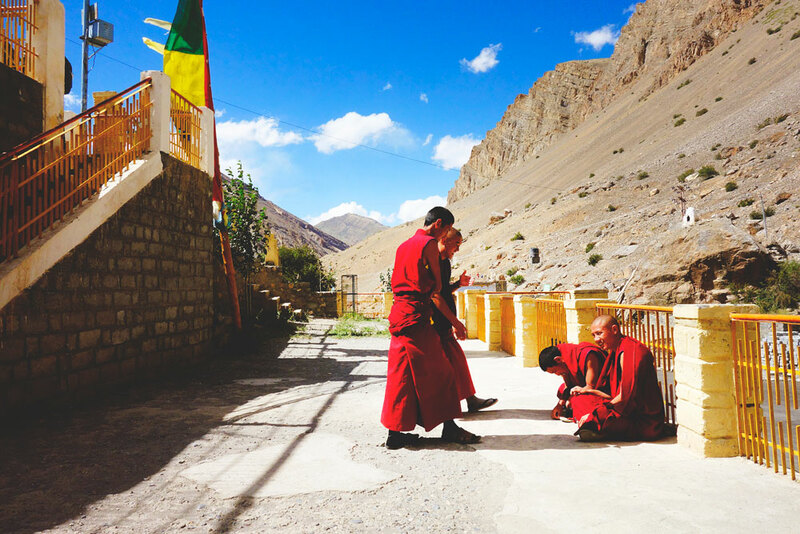 It is home to around 300 lamas who receive their religious education here. 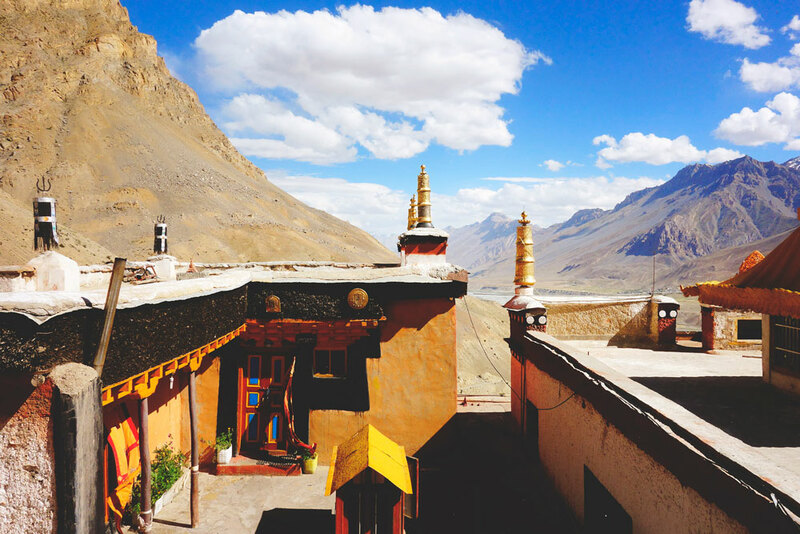 Kee Gompa is believed to been founded by Dromton, a student of the famous teacher, Atisha, in the 11th century. 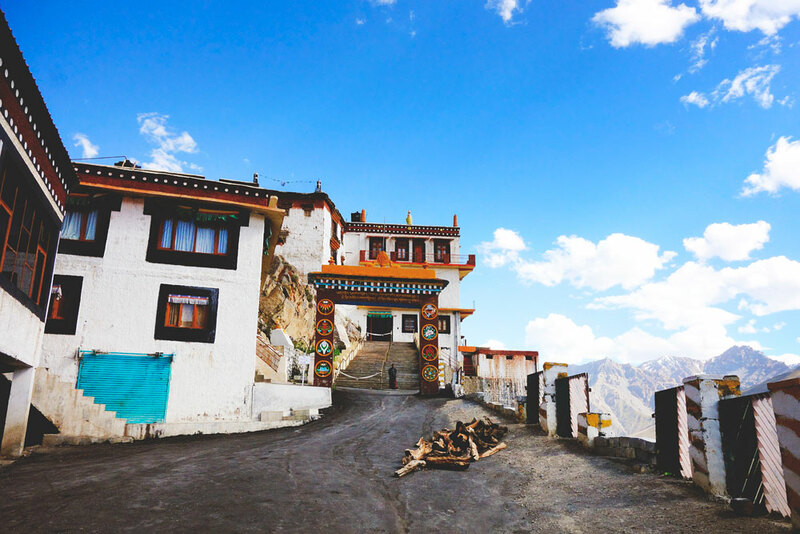 The thousand years old monastery is a magnificent example of the monastic structural design that came into fame during the 14th century because of the Chinese influence. 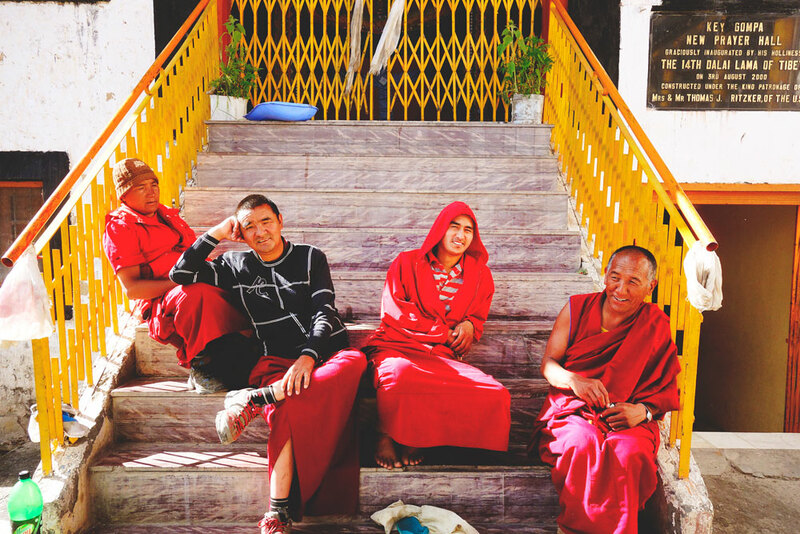 Frequent invasions have led to temples built on top of one another. 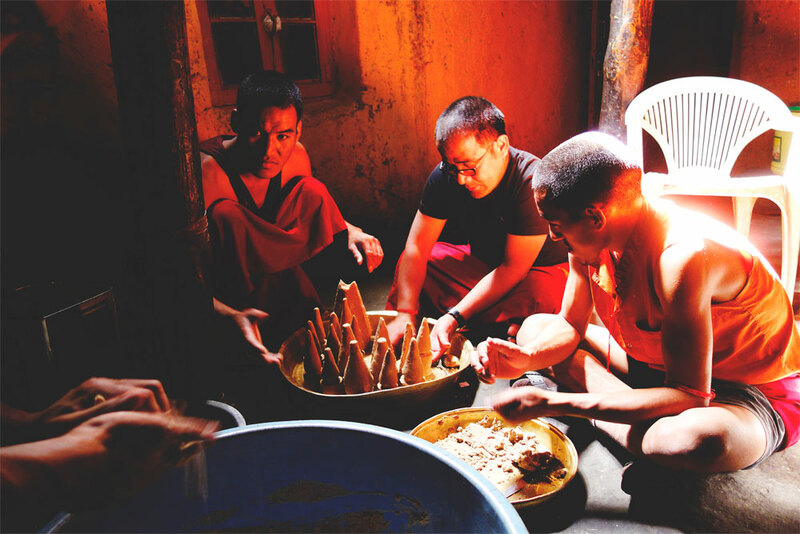 The low rooms, narrow corridors, faintly lit passages, difficult staircases and small doors lead to prayer rooms. 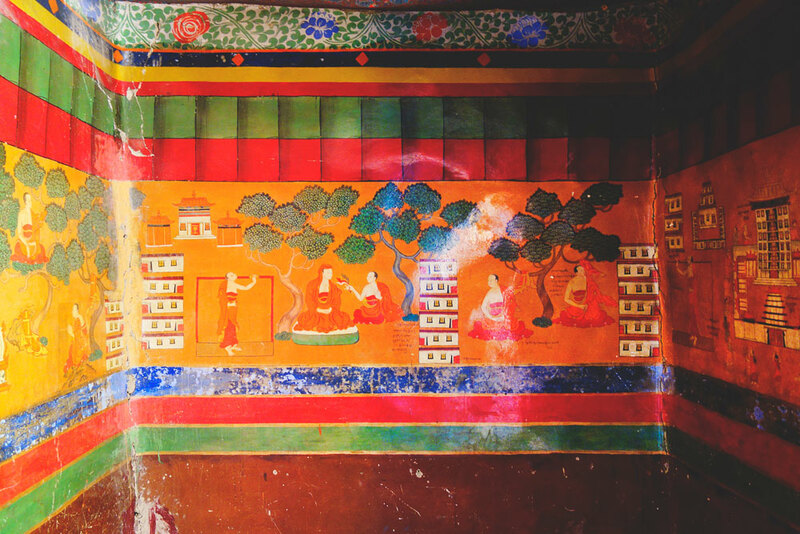 The walls of the monastery are adorned with beautiful thangkas, paintings and murals. 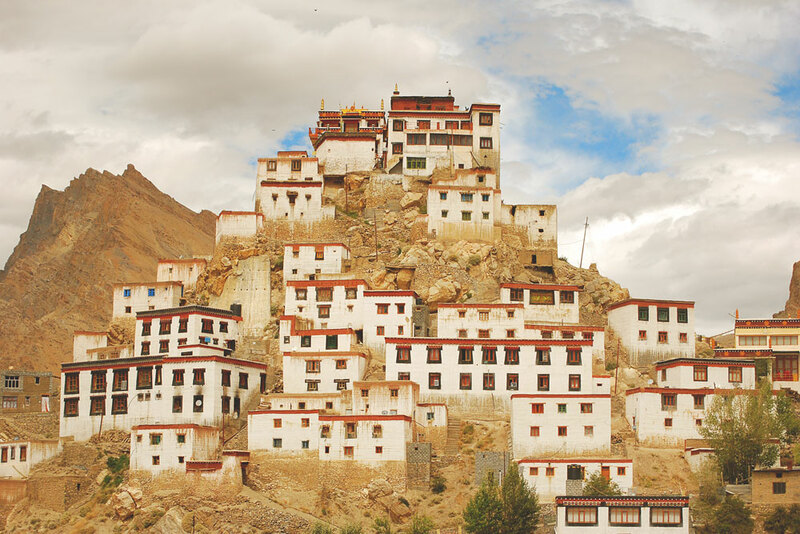 It also stores the valuable manuscripts, stucco images, musical instruments and weapons, which were probably used to defend the monastery from the attackers. 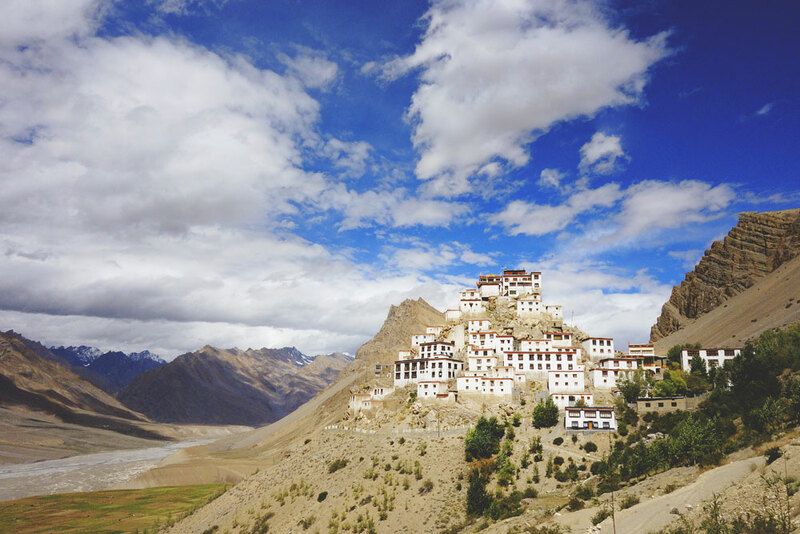 The monastery is around 12 km distance from the town of Kaza.